Drive systems in railways are used to transmit the torque from the traction motor or the combustion engine, usually operating at higher speeds, to the wheelset via a one, two or more shift gearbox. SKF has developed a portfolio of new solutions to increase reliability, extend maintenance intervals and provide cost-effectiveness. 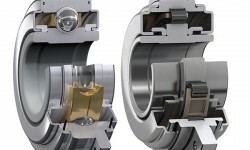 An SKF drive system technical handbook covering bearings, bearing units, sensors, condition monitoring and services has recently been published. Drive systems for railway applications such as gearboxes and traction motors have to be powerful, meet environmental regulations, be very reliable, be cost-effective and have low maintenance needs. The requirements for these applications are much more stringent than those found in many other industries because of the heavy weight of railway vehicles and the need for long service intervals. These call for specific bearings and bearing units, incorporation of sensors, the application of condition monitoring and services. Drive systems in railways are used to transmit the torque from the traction motor or combustion engine, usually operating at higher speeds, to the wheelset via one, two or more shift gearboxes. 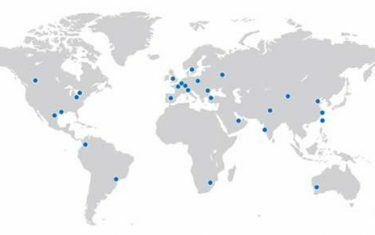 SKF, as a leading global supplier for the railway industry, offers a large variety of customer solutions. 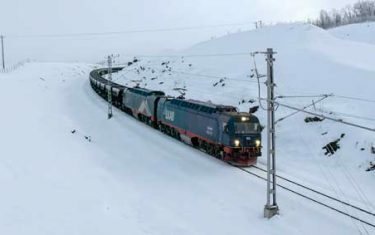 These have come about because SKF has gathered a broad and deep knowledge of railway applications over the years and has developed a unique range of products and solutions for drive systems to meet the demanding needs of railway applications. These include bearings, seals, lubricants and lubrication systems, mechatronics and services. Lower maintenance costs, reduced space requirements and increased reliability have always been key drivers in the implementation of new bearing solutions for gearbox and traction motors. 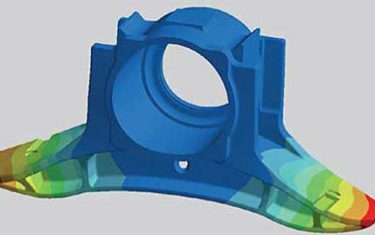 Very early designs were equipped with oil-lubricated plain bearings. These bearings required someone to check the oil level daily and to refill oil as necessary. 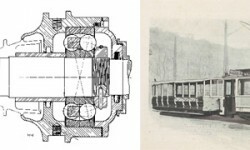 In 1918, SKF stated that tramway bearing maintenance costs could be reduced by between 25 and 70 % by using self-aligning ball bearings instead of plain bearings (fig. 1). 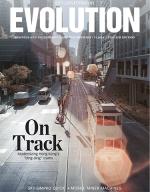 Over time, railway speeds for both passenger and freight transport have increased. 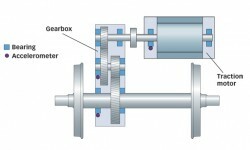 Vehicle speed and a given wheel diameter determine the rotational speed of the gearbox output shaft and its bearings. A multiple of this speed, which is defined by the gear ratio, is the gearbox input and traction motor speed. The product of the two factors, traction motor speed (n) and bearing mean diameter (dm) is an important parameter for the selection of bearing size, cage design and roller set as well as the lubricant and its viscosity. Beyond the vehicle speed, the n x dm value increases because of higher traction motor speed caused by downsizing of the traction motor geometry. Furthermore, high-power traction motor designs can only be realized with higher motor speeds. However, one design factor in particular, the distance between the two wheels, defined by the rail gauge, limits the total horizontal length of the gearbox and the traction motor arrangement. 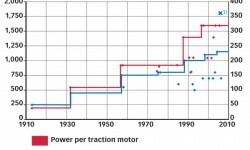 Looking at the historical development of traction motor designs over a longer period, power has been increased step by step. As an example, consider a typical German 4-axle electric locomotive design with four traction motors. 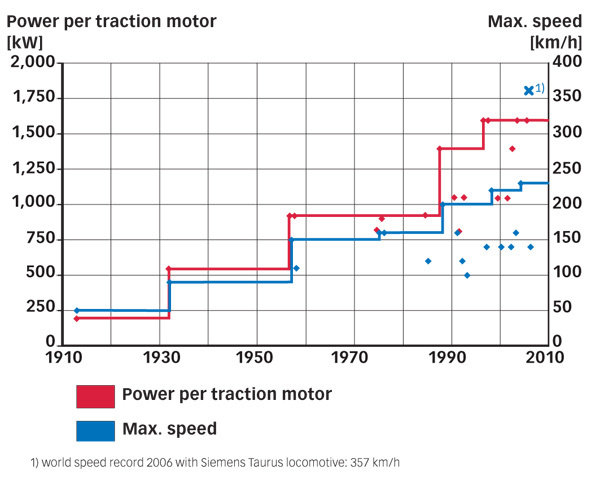 Today, its traction motor power is almost 10 times more, compared with the first design that was implemented (fig. 2). 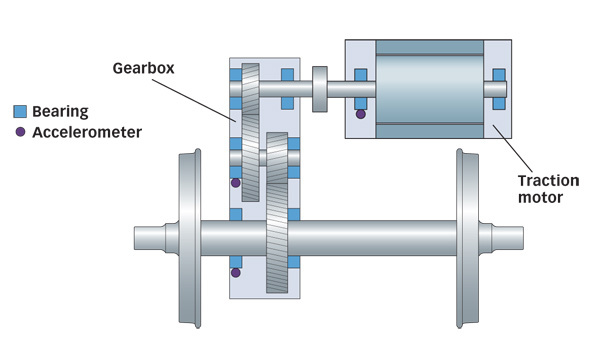 The motor power related to the speed has a direct influence on loads acting on the gearbox input shaft. Modern drive designs are focused on reducing bearing loads and applying oil lubrication as far as possible. 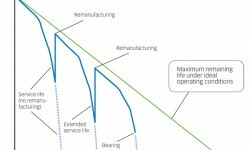 An important trend, which is set to continue, is the extension of maintenance intervals. One benefit of using alternating current (AC) propulsion technology for electric-powered vehicles is the reduced demand for maintenance, which naturally results in extended maintenance intervals. For traction motor bearings, an overall midlife of around 15 years is expected without maintenance. Today, grease-lubricated traction motor bearings have some life limitations in reaching this. However, some new designs, calculation models and test results can be the basis of reaching this target step by step. 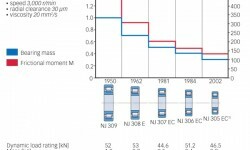 The new SKF guidance for optimized grease life can be a useful tool for extending conventional maintenance intervals (fig. 3). As already stated above, for a given traction motor power rating, increased traction motor speed enables a lower torque on both the motor shaft and the gearbox input shaft. 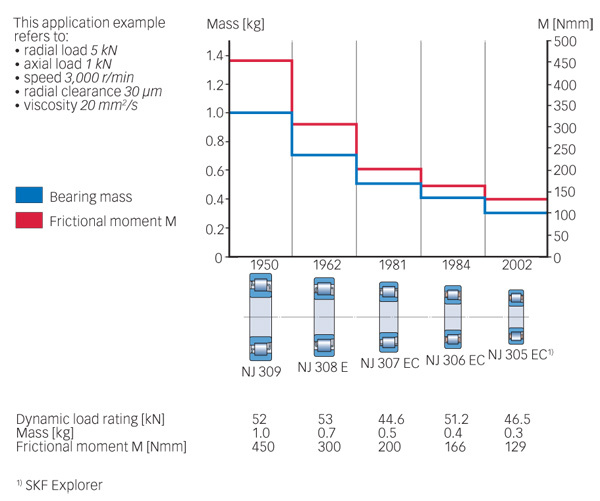 This reduces bearing loads and enables the incorporation of smaller bearing designs; in add­ition, bearings have been downsized over time because of increasing bearing load ratings (fig. 4). 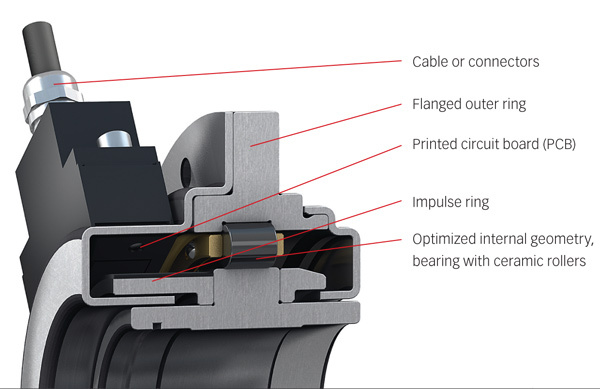 This has a very positive impact on bearing friction reduction and leads to increased bearing efficiency. 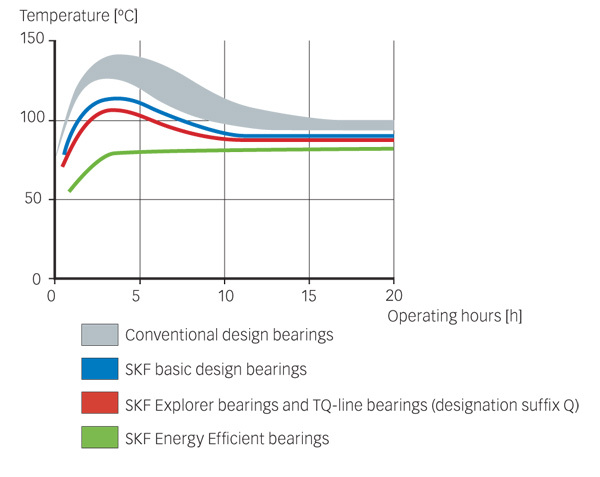 Another example of development is the evolution of tapered roller bearing designs relative to lower operating temperatures during running-in. During this period, an arrangement incorporating conventional-design tapered roller bearings operates with a significant amount of friction, resulting in wear, which can be noticed as a temperature spike. 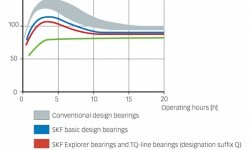 An arrangement incorporating current SKF tapered roller bearing designs operates with significantly lower friction, frictional heat and wear, provided the bearings are mounted and lubricated correctly. Demands on traction motor bearings have significantly increased due to the introduction of frequency-converter-controlled traction motors for propulsion systems. 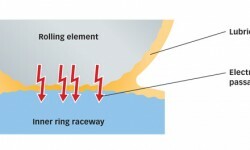 The passage of electric current through rolling bearings can cause damage in a short period of time (fig. 6). INSOCOAT and hybrid bearings greatly reduce the risk of damaging electric current passing through the bearing. In direct current (DC) applications, an INSOCOAT bearing acts as a normal (purely ohmic) resistor. The aluminium oxide layer is an insulator; the ohmic resistance, R, of the layer is the important parameter. The breakdown voltage of the standard layer is stated as 1,000 V DC, and the resistance is larger than 50 MΩ, which provides efficient insulation of the bearing. 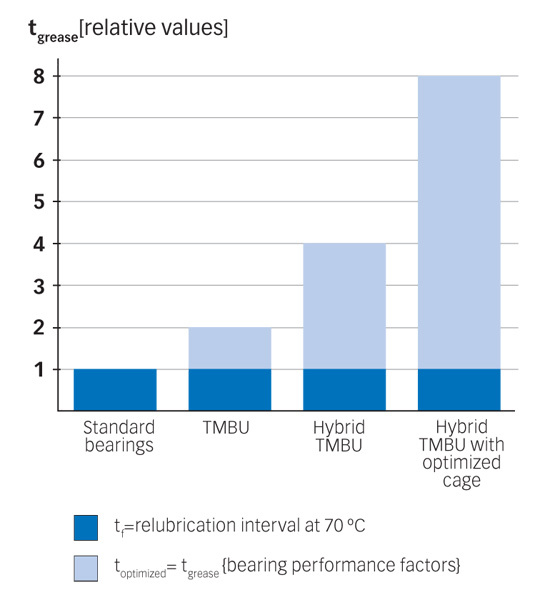 Hybrid bearings provide a further improvement of the electrical insulation properties, especially for modern high-frequency converter system applications, as they are equipped with rolling elements made of bearing-grade silicon nitride (fig. 7). These bearings have superior electrical insulation properties even at very high frequencies. specific grease type and quantity applied. The traction motor bearing unit (TMBU) is based on a compact and space-saving design that offers a maintenance-free solution for extended service intervals. The total motor length can be reduced or a given motor envelope iron length of rotor and stator can be increased to achieve a higher power rating. This subsystem design principle incorporates several features in a single unit such as grease, sealing and locating functions. The integrated flange design facilitates easy mounting. The TMBU is a shielded and prelubricated bearing unit designed for flange mounting onto the motor housing (fig. 8). A special grease is selected to achieve extended grease life even at high operating temperatures. 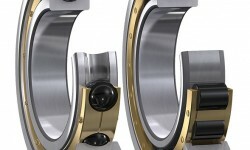 The bearing unit is equipped with non-contact labyrinth seals, which do not wear. The bearing unit can be offered as a hybrid design with ceramic rolling elements to prevent damage caused by electric current passage, and sensors to detect operating conditions. Optional features are electrical insulation and monitoring of operational data such as temperature, speed and absolute positioning for propulsion system control. 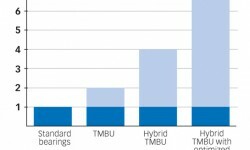 The sensorized TMBU concept (fig. 9) offers several detection and measurement opportunities: absolute positioning detection for traction motor control devices, detection of direction of rotation, speed measurement for brake control systems and temperature measurement to monitor operating conditions. 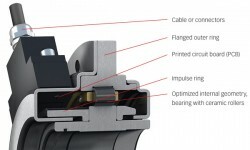 In most cases, sensors are integrated into the sealing system of the outer ring of the bearing unit. This design offers several opportunities to save space and reduce the number of parts. Condition monitoring is a mature technology with the capability of increasing safety and reliability as well as extending maintenance intervals. Using condition-detection systems (fig. 10) and applying sophisticated algorithms for data processing, incipient damage can be detected. This provides sufficient time for repairs before significant mechanical damage or failures occur. Bearing remanufacturing1 can result in a significant reduction of CO2 emissions compared with the production of a new bearing. 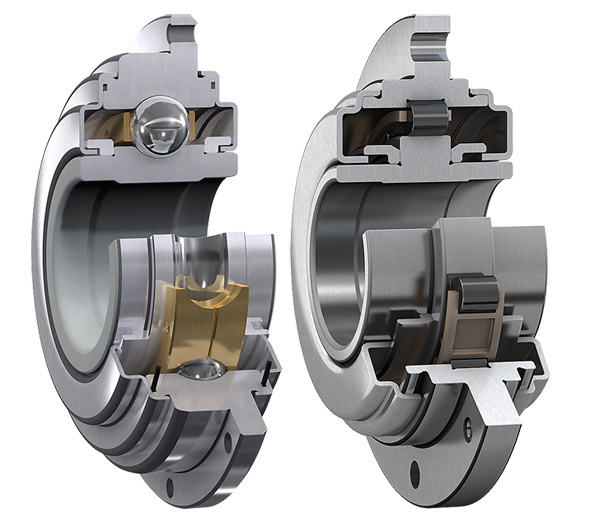 Remanufacturing requires up to 97 % less energy than producing a new bearing does. 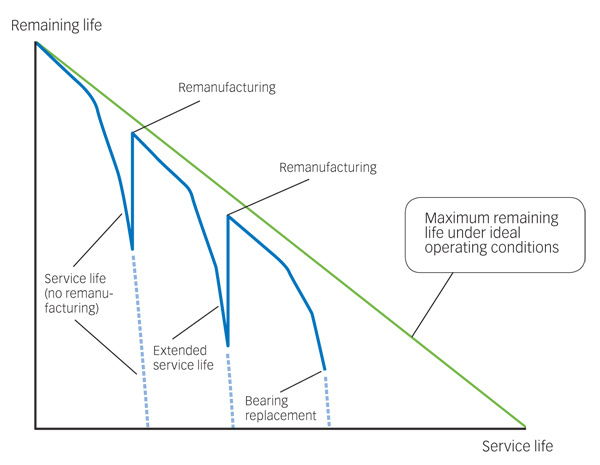 By extending the service life of bearings (fig. 11), the process avoids the scrapping of components and the unnecessary use of natural resources. 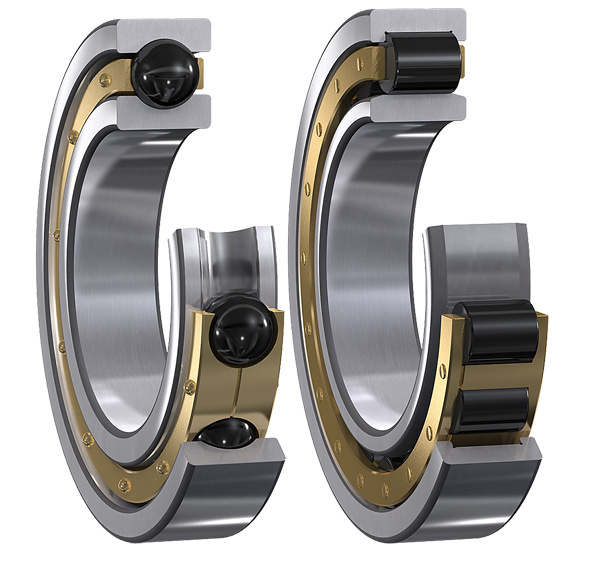 SKF specialists can judge whether a bearing can be remanufactured or not. 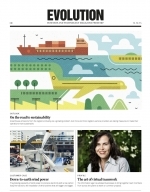 reduced environmental impact due to reduced waste, use of raw material and energy consumption. Recently, SKF published a technical handbook on drive systems for railway applications. It is focused on traction motor and gearbox bearings, sensors, condition monitoring and services. It also deals with recommendations for maximizing bearing service life, considering appropriate mounting, maintenance and condition monitoring. 1) In addition to the overall term “remanufacturing”, some railway operators and manufacturers are also using the terms “reconditioning” and “refurbishment” to differentiate specific requests. The term “remachining” includes usually polishing and grinding operations. ­However, it seems that there is no global definition for these terms, and they overlap and can be contradictory. INSOCOAT and SKF Explorer are registered trademarks of the SKF Group.